What an excellent way to light up your marketing plan. 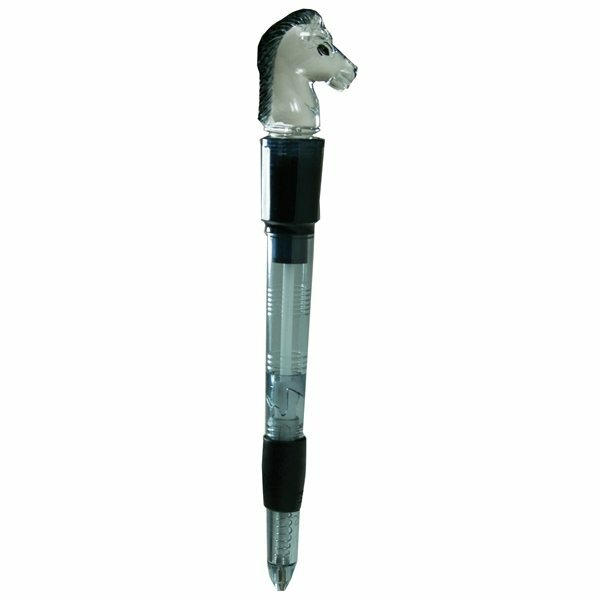 Customize this light up horse ballpoint pen with your logo for the perfect promotional product giveaway. Your clients will love this gift! Twist to turn on/off. thank you so much for the help with our order. Was given as a gift to some production teams within our plant. We received great feedback on the item. Great service. AnyPromo has a great team and should be proud of their service and products and the way they handle us (the customers)!! We all agreed it was of terrific quality with fabulous styling. We like it so much we're thinking of ordering more of them! Very good buy. Nice looking, useful, and a bit of elegance. It all worked out fine.